Everyone MUST be 21 years old to enter. The following forms of ID are acepted: valid United States Driver's LIcence, Valid State ID, Valid United States Military ID, Valid Govenment issued passport, expired ID's are NOT accepted. Security staff has the right to refuse entry. There are NO REFUNDS for blitz ticket purchases under any circumstances. Refunds: Please contact THERE ARE NO REFUNDS at 212.986.1515 or click here to email. 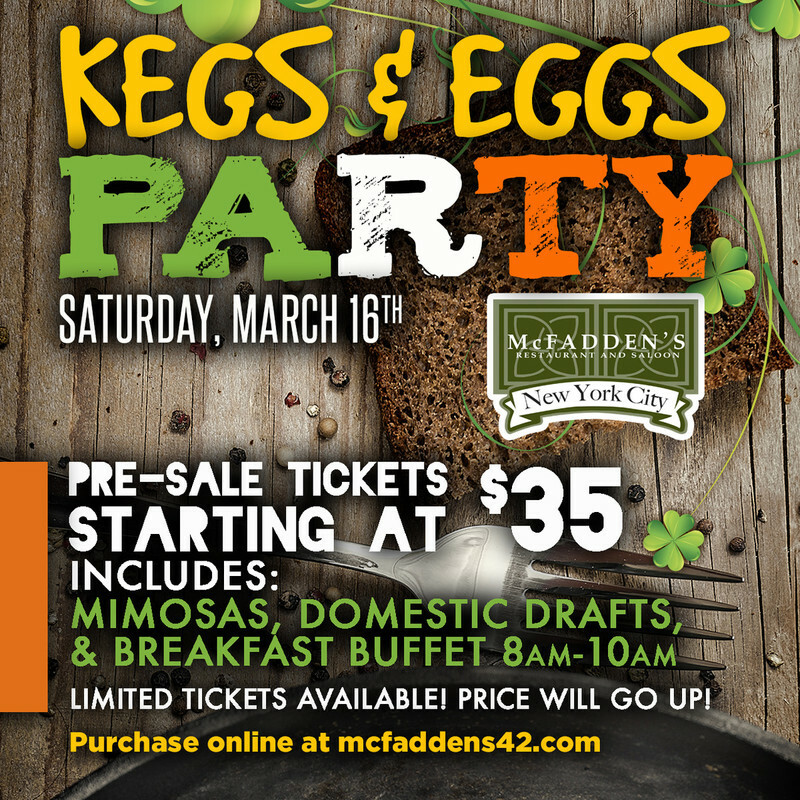 Pre-sale ticket includes mimosas & domestic drafts from 8am-11am. Breakfast buffet 8am-10am. 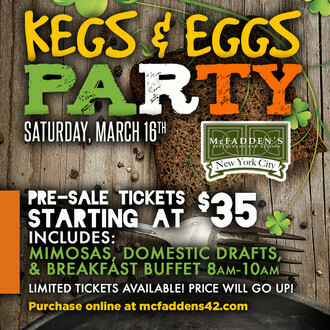 McFadden's NYC is known to be the biggest party spot in Manhattan on St. Patrick's Day! We open up bright and early at 8AM and will keep the partying going until 4AM! Limited tickets available! PRICE WILL GO UP!